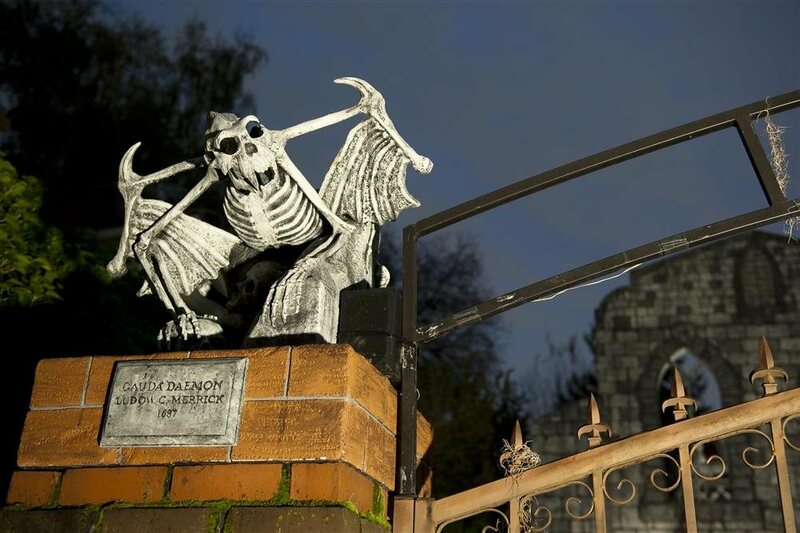 How does one become obsessed enough with Halloween to dedicate months of time, hundreds of dollars and the better part of their home to the transformation? It all started with our family and friends. We love Halloween. They love Halloween. 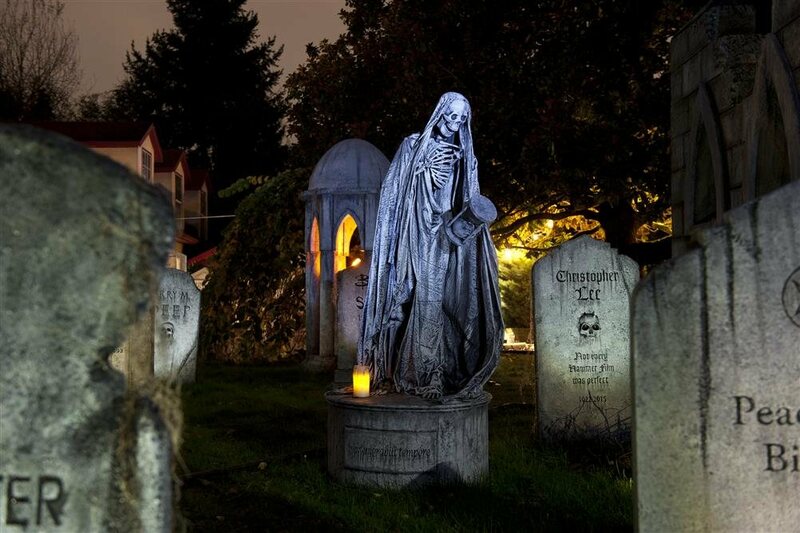 We've always wanted to create an elaborate yard display ... so have they. And faster than you can say "trick or treat" the plan is hatched. Next thing you know, they're spending every available minute at your house, transforming the garage, driveway, front yard and house into a realistic graveyard. From this initial haunt, the 1031 Club was born. When we purchased the house we live in today. 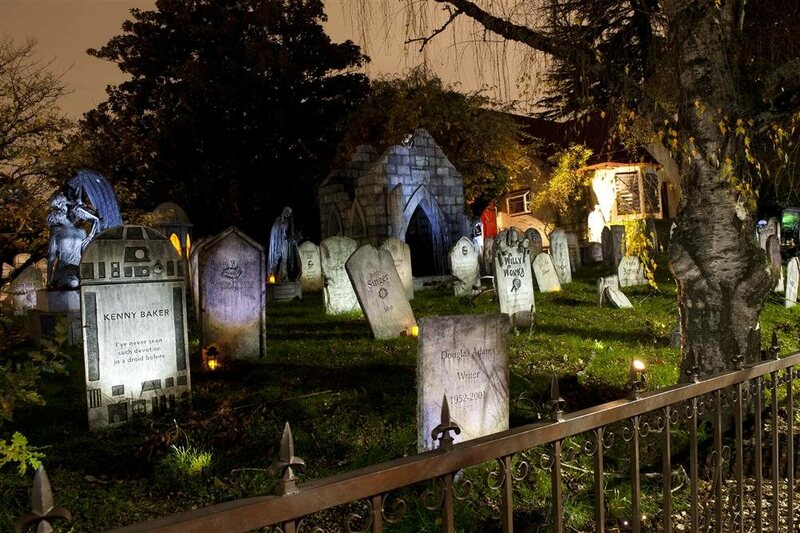 From the moment we laid eyes on the yard, we knew its destiny was that of the ultimate Halloween cemetery. 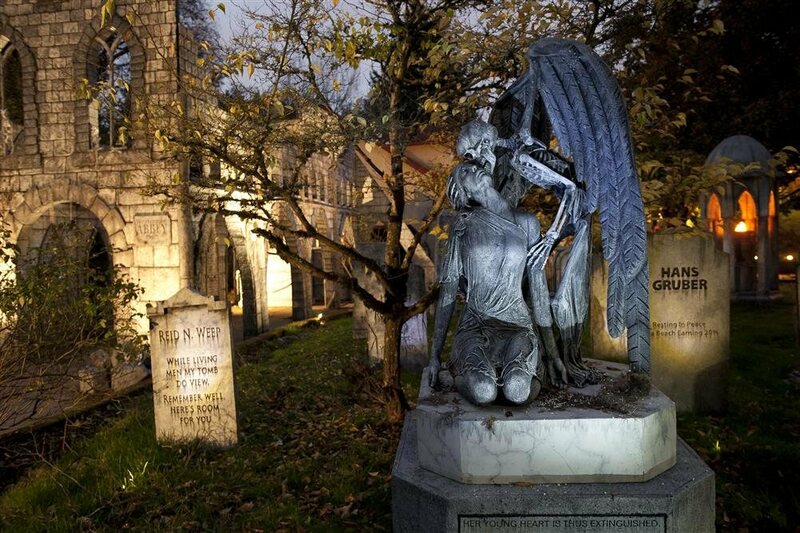 It took several years to bring the dead and dying to life, but the dream has become a reality. 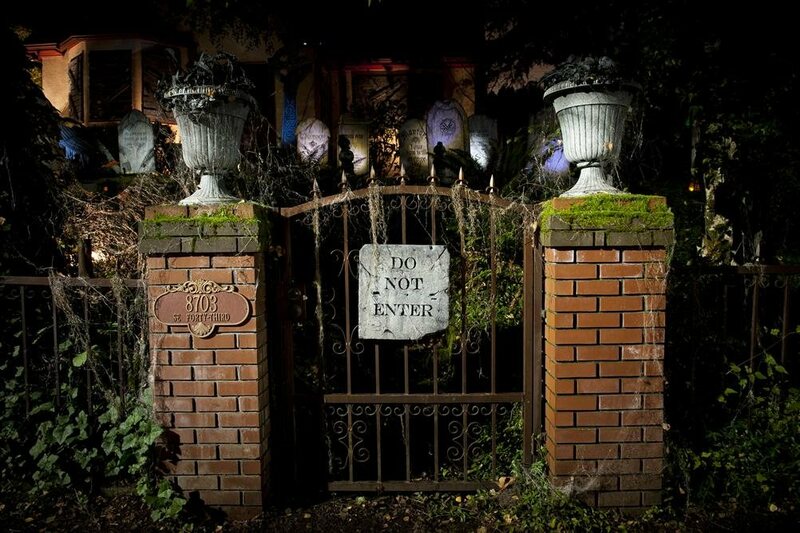 For over 10 years, we have created a creepy crawly yard haunt that has attracted people from all over the Portland area. It has become a spectacle of spectres that we are all quite proud of. But none of this would have happened had it not been for our good friends and family members who started us down this path, as well as the inspiration from fellow yard haunters throughout the country. From our family of freaks, fiends and the gratefully undead to yours, happy haunting.